This handy, pocket-sized reference is your definitive resource for small animal drugs. 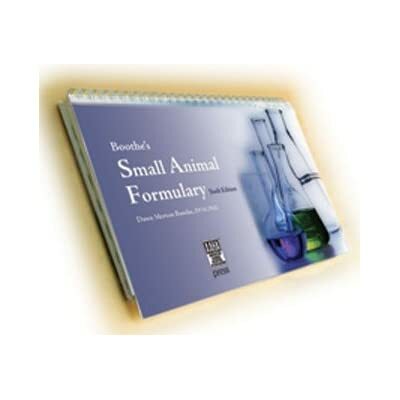 An industry favorite, Boothe's Small Animal Formulary has been expanded and completely updated. The newest edition has been long awaited and features available preparations, drug company sources, and species approval status, as well as constant IV infusion rates. Written by a member of the American College of Veterinary Clinical Pharmacology, this comprehensive clinical tool: includes more than 650 generic drugs with corresponding brand names, indications, dosages, routes and frequencies; lists drugs by proprietary names with associated generic names; classifies drugs by action or therapeutic use; provides eight helpful appendices.